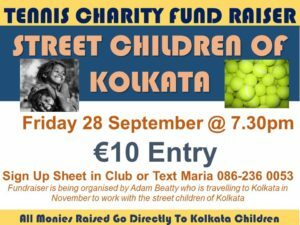 Come and support this Charity Tennis Night this Friday 28th September in aid of Street Children of Kolkata. A fun night of tennis, burgers and beverages!! All new and existing members welcome and all support is greatly appreciated.